There were periods in history when chloroform for sleep and anesthetic was fairly common, but in present day this potentially dangerous substance is used in industrial settings instead of for medicinal uses. It is highly unlikely that you will ever wind up using this substance in a legitimate and legal way in order to get a good night's sleep. Chloroform is known to the general population as a substance placed on the handkerchiefs of villains who want to render a victim unconscious. This representation of chloroform is popular in the media, but in reality this substance started out at a way to assist patients through childbirth and other painful medical procedures. Chloroform acts as an agent to slow and depress the central nervous system. This means that people exposed to the correct amounts of chloroform were able to sleep through medical procedures, or at least feel much less pain and be at relative ease during the procedure. Like any other similar substance, however, it quickly became evident that chloroform had real potential for abuse. If this substance isn't taken within safe quantities, a person can experience long-term negative effects or may actually die from the exposure. It's much more common to encounter chloroform in the present day as a substance used within manufacturing as opposed to medicinally. Chloroform is not generally regarded nowadays as safe or an acceptable use for sleep. When chloroform is used at doses exceeding reasonable amounts then the potential side effects become more severe. Kidney problems, liver problems and physical defects in offspring are just a few of the serious side effects demonstrated with animal subjects in laboratory experiments. Humans have also had some of these same serious side effects when using chloroform and other uses. Chloroform has also been reported as an addictive substance. In the past, when chloroform use was prevalent, some of the users developed a serious dependency on this substance. Chloroform cannot be purchased over the counter and is highly regulated by governmental regulations. A person using chloroform for sleep has probably acquired the substance illegally, or is using it for a purpose other than what it was sold for. Not only is this illegal but, since chloroform can be a harmful substance when used improperly, this can also be a very dangerous scenario. Chloroform will indeed assist people in falling into an unconscious state, but it is certainly not the safest and most effective method. 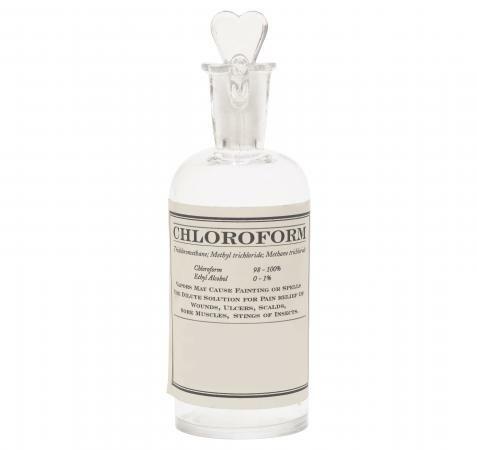 The only way to obtain chloroform is to obtain it for academic reasons - such as for a science class or research - or for industrial use with a license. The average consumer cannot acquire chloroform using easily accessible methods. When searching for an appropriate sleep aid, chloroform is not a very viable option. You won't find chloroform within the sleep aid aisle at a pharmacy, and you won't get a prescription for it from your doctor. Use caution if you do get your hands on some chloroform. Regardless of the Hollywood portrayal chloroform has received as an effective way to temporarily render someone unconscious without any residual effects, this substance can be dangerous. Using chloroform to put yourself to sleep is using the substance contrary to its intended use, and using it forcefully on another person to put the person to sleep is illegal.